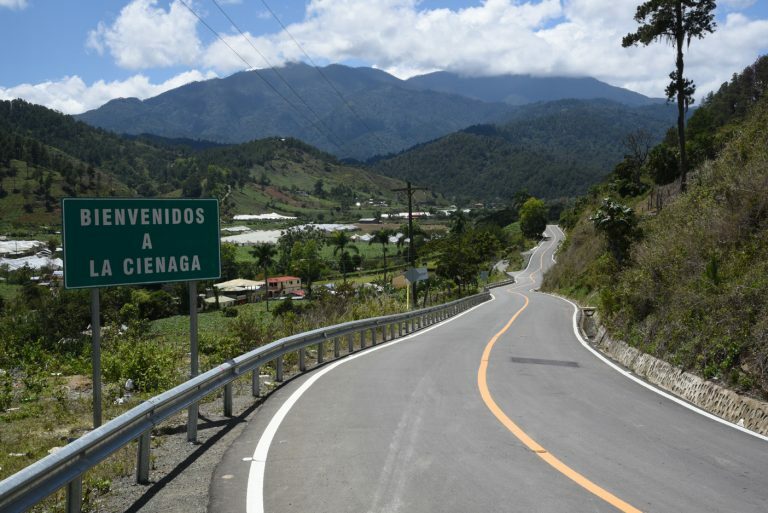 Jarabacoa, Dominican Republic.- President Danilo Medina on Friday headed the inaugural for the rebuilt Jarabacoa- Manabao-La Ciénaga road of 40 kilometers through the rugged Central Mountains. The rebuilt road will benefit highland communities rich in agriculture as well as well as a host of tourism projects. In his keynote speech Public Works minister, Gonzalo Castillo, said the road had been demanded by the inhabitants of Jarabacoa, Manabao, La Ciénaga and other communities and announced that they will soon finish other roads in the region.